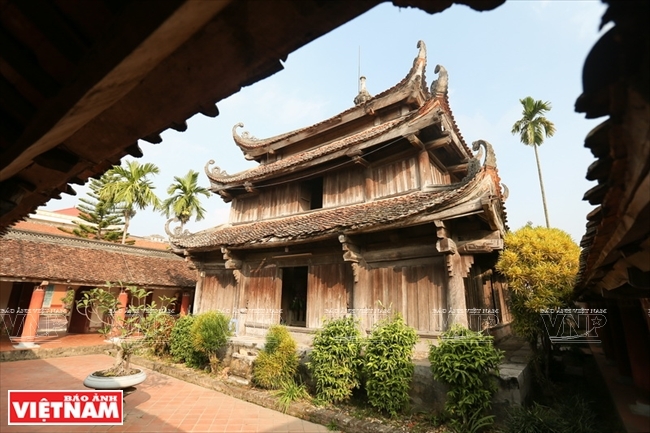 Cuu Pham Lien Hoa is a 300-year-old wooden tower, which is 4.44 meters tall. The tower has six symmetrical sides, each measuring 1.2 meters. 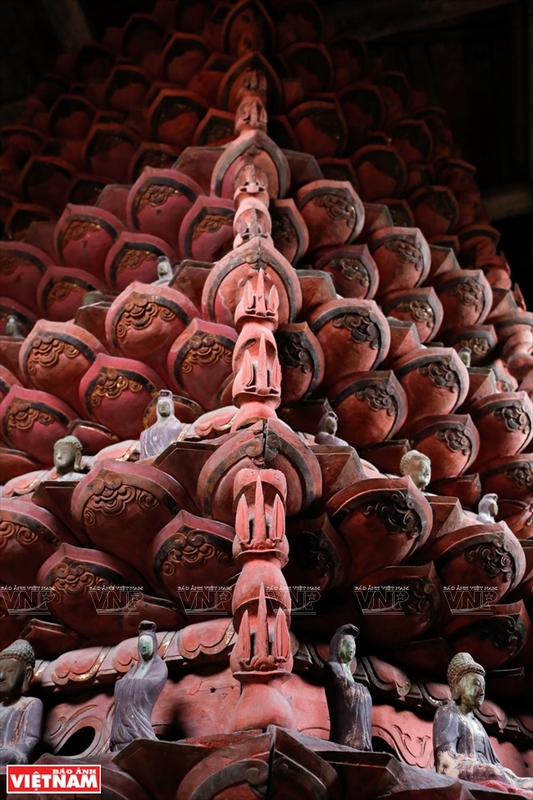 It has nine stories with five lotus petals on each story. 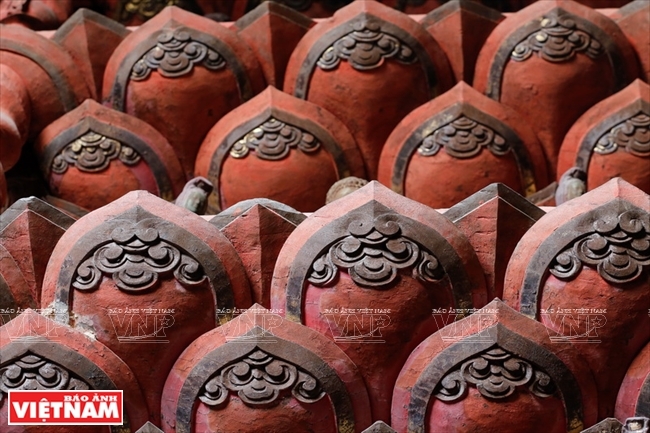 The nine stories represent the nine grade stages of achievement in Buddhism. 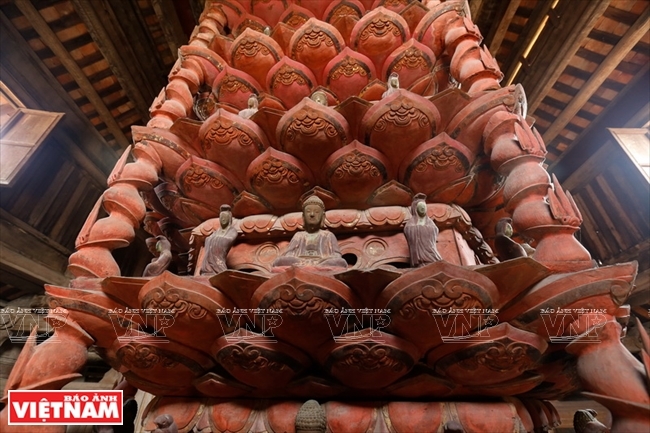 To create this impressive tower, old artisans set up an ironwood pillar in the middle and six golden bamboo columns around it which were carved in the shape of a dragon. 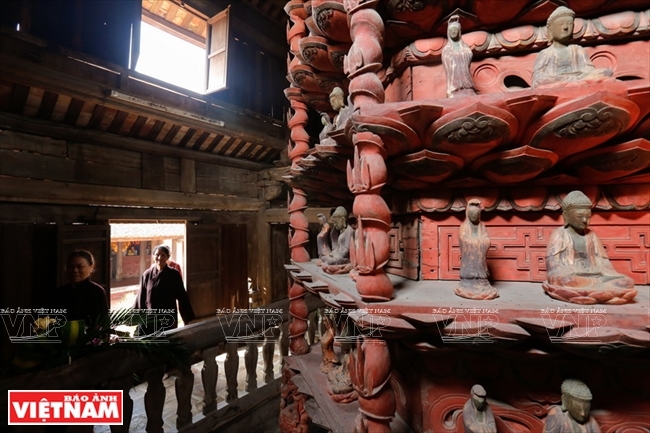 On each story of the tower are 18 Buddhist statues. The biggest statue is on the highest story. With a total weight of about four tons, the tower can still spin with the light touch of a hand. The base of a dragon-shaped carved column of the tower. With an estimated weight of about four tons, the tower can still spin with a light touch of a hand. The people from Cam Son commune make offerings in front of the tower during the day of a full moon. 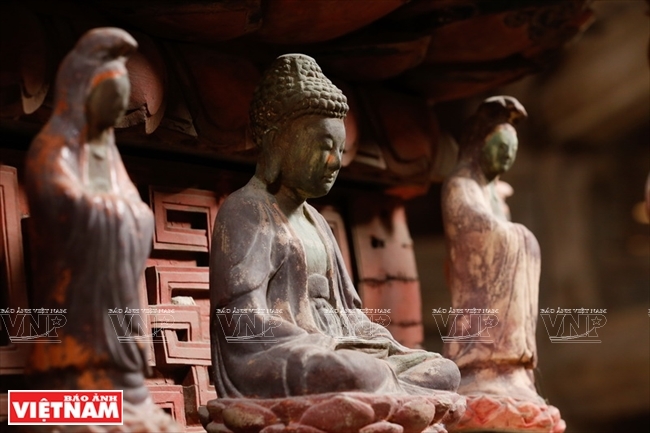 Cuu Pham Lien Hoa is an antiquity that has important values of art and Buddhist architecture. 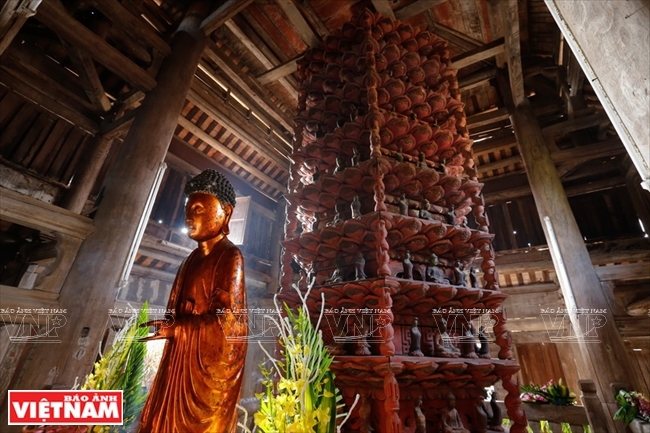 Along with two other nine-story lotus towers at But Thap pagoda, Bac Ninh province, and Dong Ngo pagoda, Hai Duong province, the tower is a masterpiece of Vietnamese traditional wood carving art related to Buddhism that is still preserved. It also has historical values very useful for scientific research. 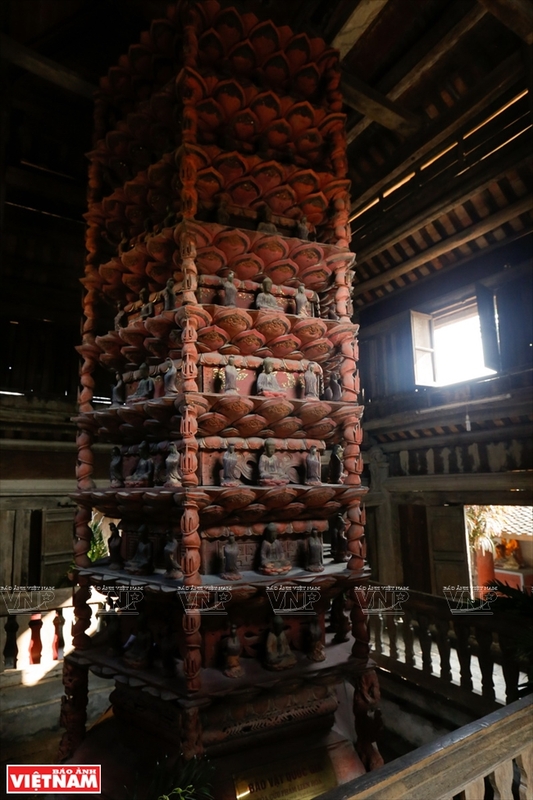 The nine-story lotus tower of Giam Pagoda was recognized as a national treasure in 2015. 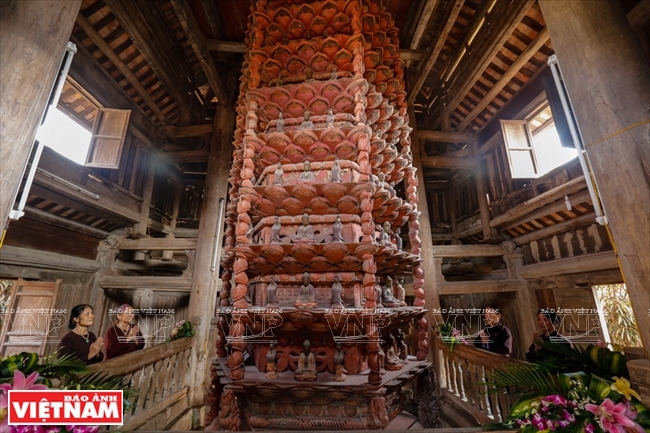 Giam Pagoda is a well-known relic where many national treasures are kept, including ancient Buddhist statutes, large bells and stone steles. 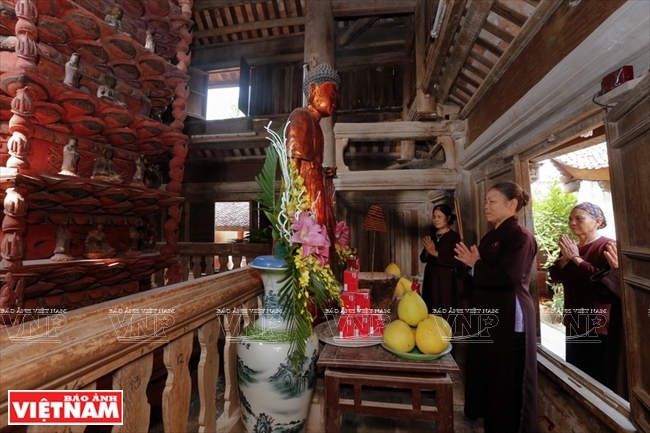 It is also the worshipping place of Tue Tinh, the founder of Vietnamese traditional medicine. 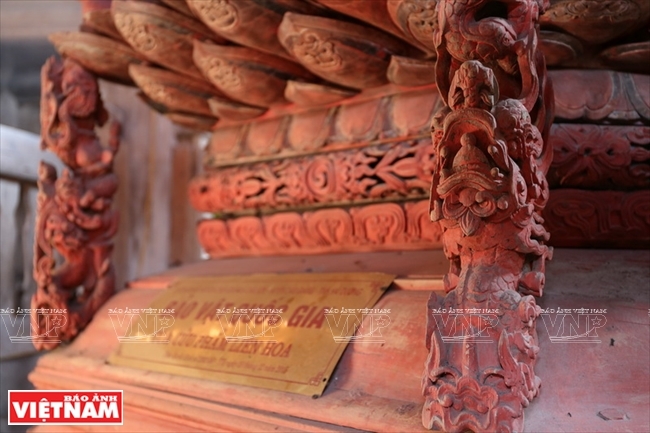 Built during the Ly dynasty, the pagoda was restored in the 14th century by Tue Tinh. It was rebuilt on a large scale beginning the late 17th century to the early 18th century and was classified as a national relic in 1974.